On Tuesday, July 24, 2018, the Fox Cities Composite Squadron of the Civil Air Patrol will host their first annual BBQ Fundraiser. This event is open to the public and we encourage anyone who has interest in learning more about our squadron or the Civil Air Patrol missions to join us that evening. Food will be served from 5:00-9:00pm at the Fox Cities Composite Squadron, W6558 Pathfinder Drive, Appleton, WI 54914. The public will have the opportunity to visit with our members, ask questions, get a tour of our facility and airplane. We are suggesting a $10/person donation – to cover an all you can eat buffet style BBQ. There will be extra soda and snacks for purchase. All proceeds will benefit the Cadet Program at Fox Cities Composite Squadron. Earhart Award during the Fox Cities Composite Squadron Awards Banquet, March 6th. To highlight the significance of this accomplishment, only 5% of cadets have earned this award since its inception in 1964. Cadets who receive this award and later enter CAP’s Senior Member program, are eligible for immediate promotion to CAP 1st Lieutenant at age 21. Cadets who receive the Amelia Earhart Award also enjoy all the benefits gained from earning the General Billy Mitchell Award (advanced placement in the grade of E-3 (Airman First Class) should they choose to enlist in the US Air Force, advanced credit in the Air Force ROTC program, and the opportunity to apply for a variety of scholarships and CAP special activities. Appleton, Wisconsin – First Lieutenant Lisa Bastian assumed command, January 2nd, of the Civil Air Patrol’s Fox Cities Composite Squadron. Bastian, the squadron’s former Deputy Commander for Seniors, replaces Captain James Lange, who will assume the position of Emergency Services Officer. Fox Cities was honored to have Northeast Group Commander Lieutenant Colonel John Hoffmann, Wisconsin Wing Chief of Staff for Mission Support Lieutenant Colonel Patrick Gaylord, and Wisconsin Wing Vice Commander Lieutenant Colonel Harvey Moss join them for the ceremony. 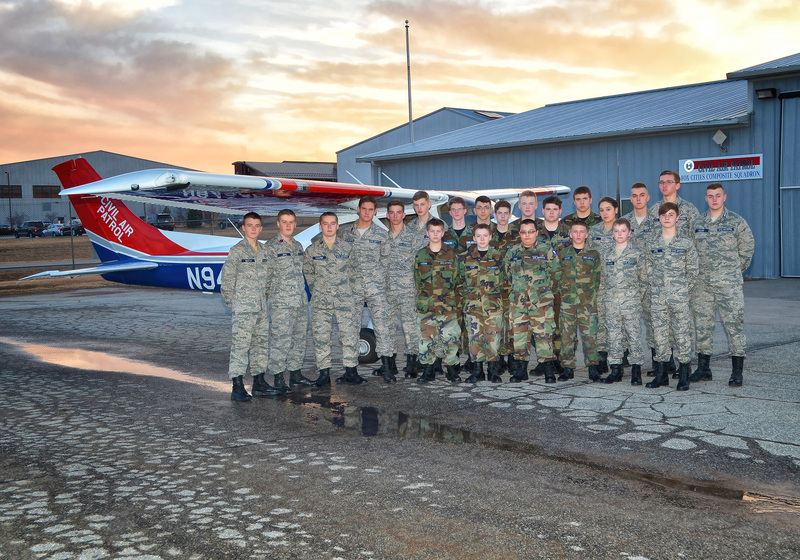 Fox Cities Composite Squadron – Civil Air Patrol is part of the all civilian, all volunteer U.S. Air Force Auxiliary; which offers a Cadet program for teenage youth between the ages of 12-18. The Cadet program includes multiple orientation flights, leadership training, and a community oriented aerospace education program. The Fox Cities Squadron also has an active Emergency Services team which aids in search and rescue and disaster relief missions. The Fox Cities Composite Squadron meets on Tuesday evenings, 7:00-9:00pm. We are located at: W6558 Pathfinder Drive, Appleton, WI 54914, on the south side of the Appleton International Airport. For more information about the Fox Cities Composite Squadron, contact Second Lieutenant Shawn Zinke at shawnzinke@gmail.com or visit our website at www.foxcitiescap.org. Cadets as well as Senior Members are strongly encouraged to promote in each of their programs. Cadets must complete a Drill Test, Physical Fitness Test, Aerospace Test, and Leadership Test, as well as attend a monthly safety briefing and character development class. For this quarters cadet promotions we have many cadets getting their first promotion which is a requirement to attend encampment. Also Cadet Staff Sergeant Aschenbrenner earned his Wright Brothers Award which is a big milestone in the cadet program. The following is the list of Cadets and Senior Members who have earned promotions in the fourth-quarter (October-December). Searching through file directories, looking for the “malicious files” that need to removed in order to secure our computer. Meticulously scanning folder by folder, yet nothing has turned up. The search continues through each program that is running, and there it is: a computer virus running on the system. Immediately we delete the virus and points are scored. This is how the Cyber Patriot competitions and practice rounds work as we go through the tasks of securing and protecting a virtual computer. 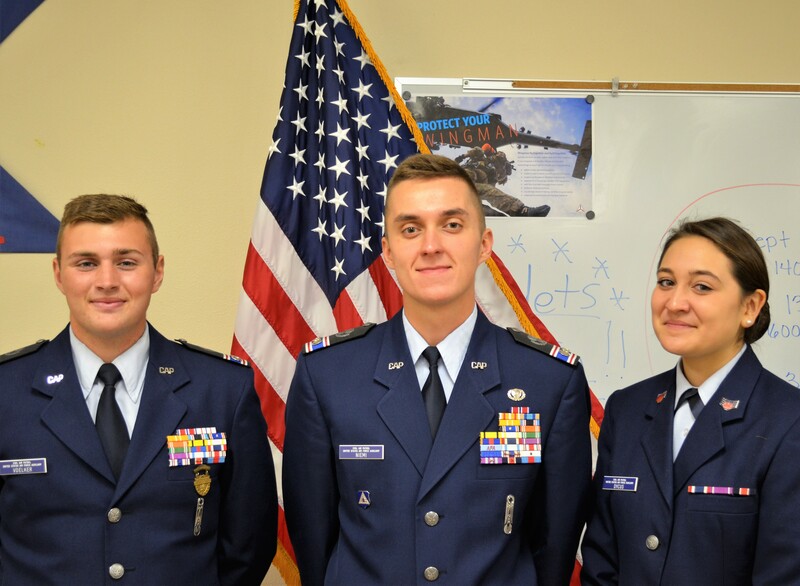 Cadet Second Lieutenant Matthew Niemi and Cadet Second Lieutenant Isaiah Bastian – Windows Team. Cadet Technical Sergeant Joshua Jerred and Cadet Senior Master Sergeant Jacob Coulombe – Linux Team. 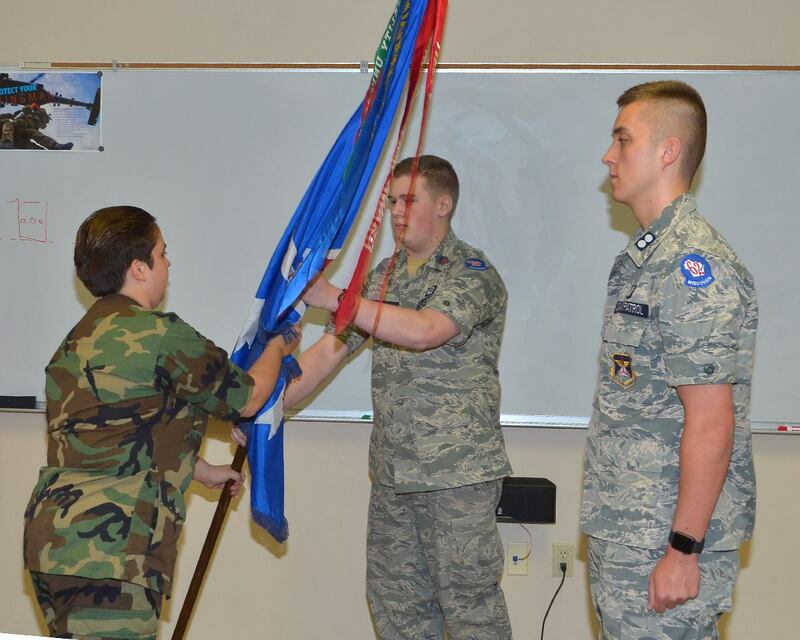 Cadet Chief Master Sergeant Karl Steenepoorte and Cadet Airman Alec Tuchscherer – Cisco Team. 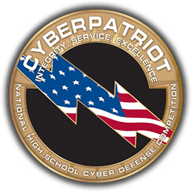 The Fox Cities Composite Squadron CyberPatriot team is preparing for the first round of actual competition in November, and we hope to do well this year. The technical knowledge of our team is well rounded; with some brand new to CyberPatriot and system security and some who are more experienced. We are excited to see how our team places this year! Stay tuned for team updates! For more information on CyberPatriot visit: http://ae.capmembers.com/programs/cyberpatriot/ or https://www.uscyberpatriot.org/home.